Although Tony Dungy was passed over in the 1977 NFL draft, Coach Chuck Noll of the Pittsburgh Steelers recognized his athleticism and understanding of the game and signed him as a free agent. Later, at the age of 25, Dungy began his NFL coaching career with the Steelers. He went on to coach the Tampa Bay Buccaneers and then considered retiring from football. Instead, he accepted a coaching job with the Indianapolis Colts and in 2007 became the first African American head coach to win the Super Bowl. 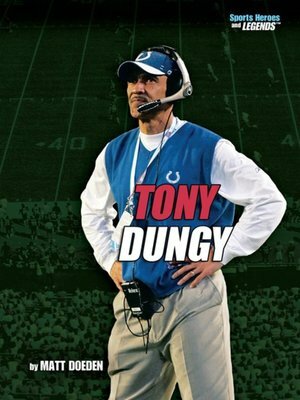 Find out how Dungy's intellect, strength of character, and leadership qualities have made him a champion on and off the field.